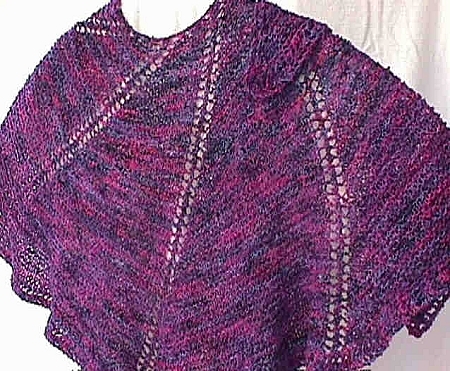 An asymmetrical crescent-shaped shawl with a natural curved shape. Lies nicely around your neck and stays on your shoulders. Can be knit in any yarn and any size with yarn requirements ranging from 450-2250 yards, depending on yarn weight, and needles from 4-15, also depending on yarn weight. You will also need 5 stitch markers, one of which is a different color.